Multi-member families in Rovinj can choose between houses and big apartments. Expectedly, apartments are a lot more affordable, especially those built in the period from 1960 to 1990. At the most reasonable price are big apartments in Rovinjsko Selo, then apartments in the suburbs of Kokuletovica, Monfiorenzo, Štanga and Gripole. Have a look at our guide for buying apartments in Rovinj – or contact us for any further questions. More about services for buyers! 1st Floor. Dining room/living room, 26,6 m2. Orientation: Southeast. 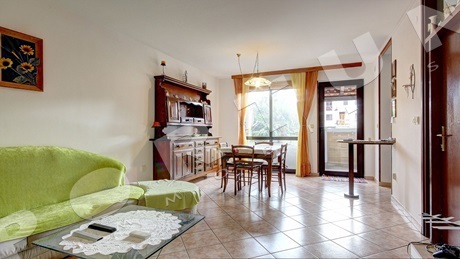 The first floor and attic of a terraced house in Rovinj are occupied by this furnished four bedroom flat with three bathrooms. The flat measures 122,48 m2. The flat is not inhabited and can be taken into possession immediately. PART 1. 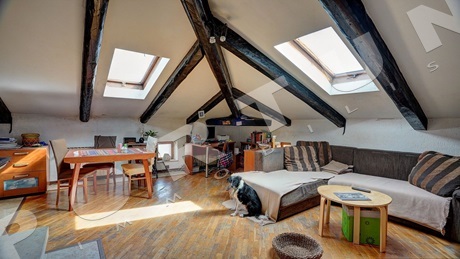 Loft. Terrace, 13,03 m2. Orientation: Northwest. 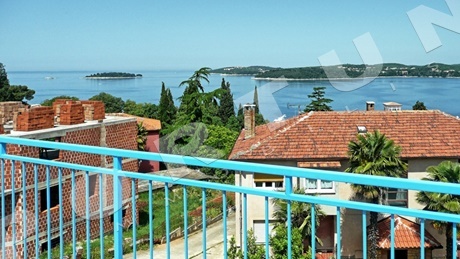 Istria, Rovinj, 2-storey 2 apartments 228,91 m2 (101,35 m2 + 127,56 m2), 4 bathrooms, on 1st. floor, with sea view, furniture included, bathroom equipment, built in 1970., sea 400 m, center 400 m.